Those of you who aren’t from Wisconsin may not realize this, but Madison has the singular honor of being home to the National Mustard Museum. Okay, technically the honor belongs to Middleton, a suburb of Madison that is distinguishable from the rest of the city only because the food is less exciting and the age demographics tilt toward the retired. Downtown Middleton is the westernmost walkable portion of the Madison area, so I give it mad props for that, at least. Also, their library is quite nice. But today we’re talking about the Mustard Museum. This particular establishment used to be in Mt. Horeb, a place in Wisconsin so desolate and mythical I drove through it once on my way to go skiing but otherwise don’t really believe it exists. Their building got sold and they had to move, so they decided to go to the people, rather than making the people go to them. This was great because, despite repeated declarations that it was, “totally worth the drive,” I was never going to actually go to the Mustard Museum where it was. Even in Middleton, it took a Groupon for me to remember the Mustard Museum long enough to actually go. It’s possible my devotion to mustard is shabby. I’m not going to lie; as a museum, this place was a huge let down. The exhibits were thin on content, high on kitsch. That would have been fine, but the kitsch was displayed in big clumps, leaving only the large mustard bottle costume as a real stand out. One of the staff commented that they were working hard on applying for grants so they could keep the museum free. I hope they get these grants, because the place is barely worth visiting at a free price point. This is the expert opinion of somebody who spent her childhood going to various museums and liking it. Given that the new space in Middleton is larger than the one in Mt. Horeb, everybody who tried to talk me into driving out to it owes me an apology. Here’s the thing, though. 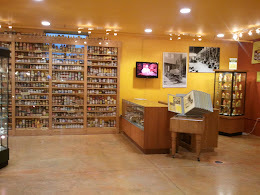 This place should not be judged as a museum; it’s a mustard store. 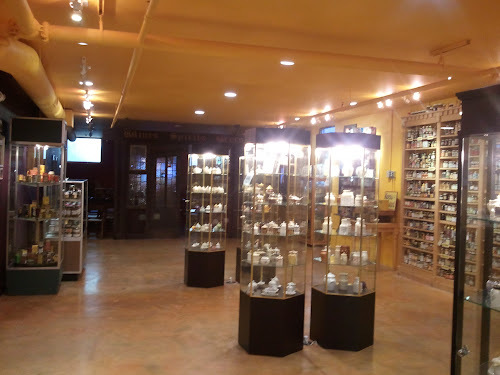 And it’s not just any mustard store, it is the coolest, best stocked, most exciting mustard store you can imagine. They have tons of different kinds of mustards, well organized and nicely presented. They have friendly staff who can talk at length about the different mustards and what they pair well with. Best of all, they have samples of all of the mustards available so you can look at a jar and say, “Chocolate mustard? This is either brilliant or awful and I must know which!” (It was awful. But the shallot mustard, and the Three Monkeys mustard were both excellent enough to buy. The mustard cheese has been dubbed “crackalicious”) Do you know Vom Foss? This is the Vom Foss of mustard. I don’t say that lightly. The people running the place seem very, very convinced they’re a museum. Meh, whatever makes them happy. I just hope they don’t spend so much time chasing that down that they neglect the thing they’re actually good at, i.e. hooking me up with neat tasty spreadables.